London Mayor Boris Johnson said he’s “not bothered” with civil liberties when it comes to terrorism suspects, while he attended a vigil in Trafalgar Square in solidarity for the 17 people that have lost their lives in terrorist attacks in Paris. The government is pushing for the Communications Data Bill to be re-introduced, which would give the security and intelligence services greater power to monitor terrorists. 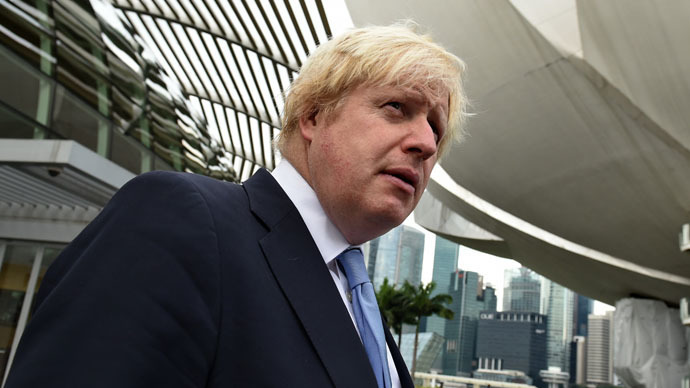 Speaking on Sky News, Johnson said: “In many ways the guys who did this kind of thing are very often at the fringes of criminality, lured into terrorism by very cynical and clever ideologues. In many ways they are vulnerable to all sorts of criminality. “You have got to have a very tough security solution, to be absolutely determined to monitor these people, know where they are, know who they're talking to. Johnson said the values of “enlightenment and freedom” that London and Paris stand for are the same. He added that people being offended never justifies any kind of violence, in reference to the recent attacks by Islamist gunmen, which killed 12 people at the French satirical magazine Charlie Hebdo after its cartoonists depicted the prophet Mohammed in caricatures. His comments came as Prime Minister David Cameron attended the unity march in Paris and praised the efforts of British intelligence services. He said while in a free country there is never a guarantee against an attack. He added: “Crucially in recent months the brilliance of our intelligence services has prevented a number of plots including to kill police officers.